Aneesa Jansen had been unemployed for about 2 years when she got the call via DreamWorker to go through to Lewis Stores for an interview. The position on offer was for a filing clerk in the payroll department. Throughout her period of unemployment, Aneesa had stayed focussed and determined to find full time work again. She kept herself active, doing short term contract work and selling various items of produce from home. “I was so nervous for my interview, but also so excited” she shares. “I had always worked in admin, but never in salaries as such, so this was an area of real growth for me”. Aneesa’s manager, Joycelyn Early, loved her confidence and openness at the interview and hired her not long thereafter. “She is a real go getter who has shown initiative from the start. Aneesa started with us on a trial basis but is now permanent. And we are already earmarking her for greater responsibility”. 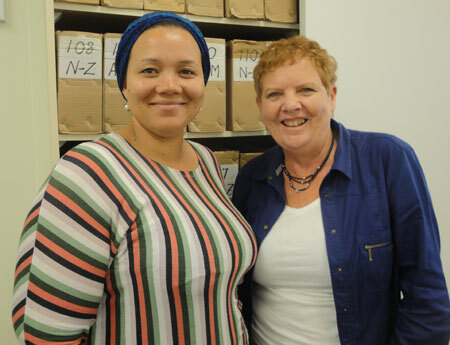 Aneesa has recently signed up for a Saturday morning Payroll course at False Bay College, so she can learn even more.